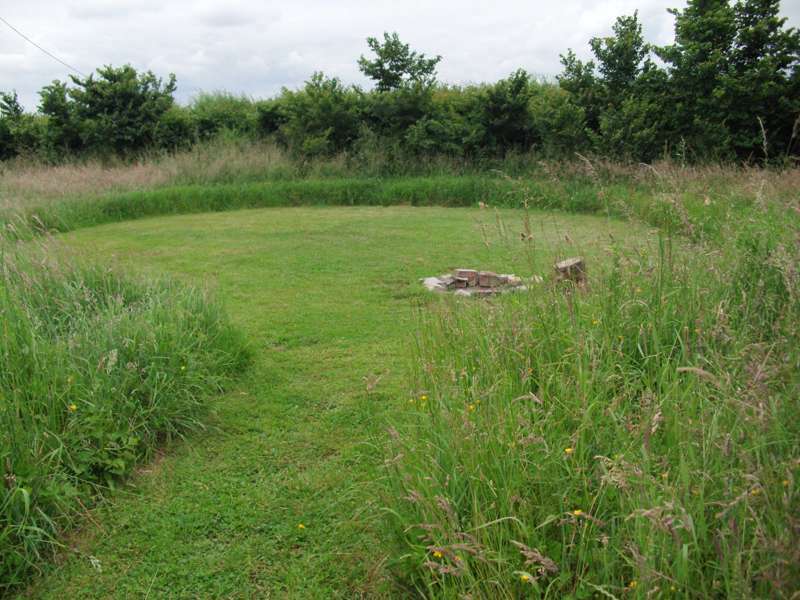 A circular mown camping area in the long grass (approximately 10 metres in diameter), complete with a fire-pit. A circular mown camping area in the long grass (approximately 10 metres in diameter). A more secluded pitch for those wanting a bit more privacy. Large pitch for family sized tents or multiple small tents. Cross 14 acres of grass meadows, accommodating a maximum of 15 tents at any one time, with friendly owners who hold a relaxed, camp-where-you-like attitude, and you’ve got yourself one roomy place to pitch. 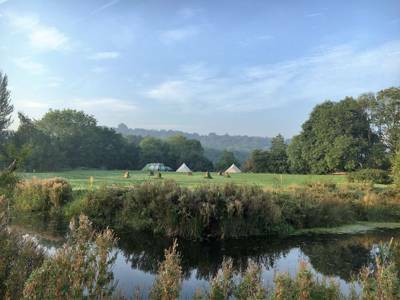 Throw in some world class Shakespearean sights, neighbouring medieval castles and countryside vistas that inspired some of the worlds greatest literature, then you’ve stumbled upon Twitey’s Tipis and Camping Meadows; 'A Midsummer Night’s Dream' of a campsite. “Peace and tranquillity is the order of the day,” says the sites owner Michael Twite, who’s created a truly loveable, back-to-basics campsite. Upon arrival, you’ll be presented with a wheelbarrow to help move your kit, unusual yes but fun, especially for the children who get a ride from mum or dad. All who stay at Twitey's appreciate the lack of overcrowding. The flat, mown pitches come well spaced out and hidden in one of the two wild flower meadows, providing a sense of remoteness and seclusion. 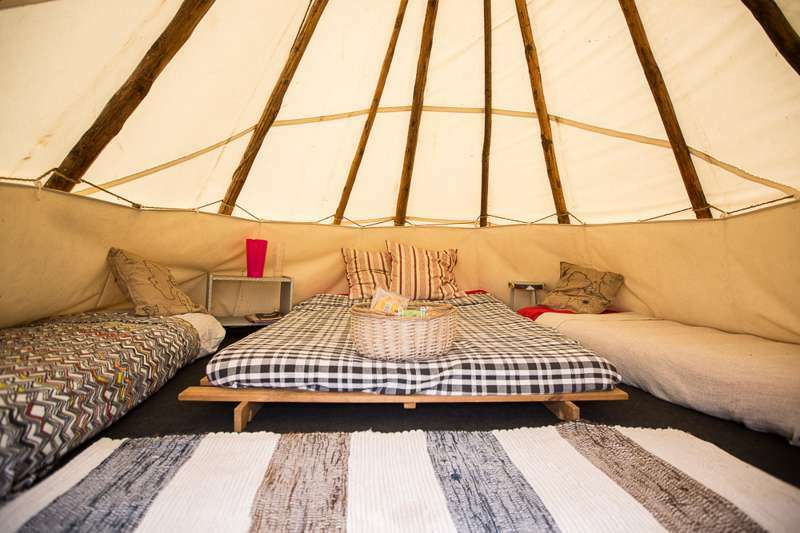 As the name suggests Tipis can also be rented. The sites small ‘Hamlet’ of abodes (3 in total) have been thoughtfully positioned to overlook the meadow, and come furnished with lanterns, kitchen utensils and logs for a sunset campfire. Perhaps Warwickshire may have been just another pleasant English county were it not for the birth of one rather gifted playwright. William Shakespeare was born, and died in Stratford-upon-Avon (4 miles), and the sights linked to the great mans life have become a magnet for tourists. To sample some of Warwickshire’s glorious countryside, follow 'Shakespeare’s Way' which replicates the 146-mile route the young writer took on his travels to and from London. The scenery is sure to inspire; the earliest section of the walk passes rolling hills, the weaving River Stour and honey-coloured Cotswold cottages. Welcome to our small, beautiful and cosy campsite. Just 4 miles east of Stratford upon Avon and 8 miles south of Warwick. We are well situated to explore Shakespeare's Stratford-Upon-Avon ,Warwick Castle and the Cotswolds nearby. 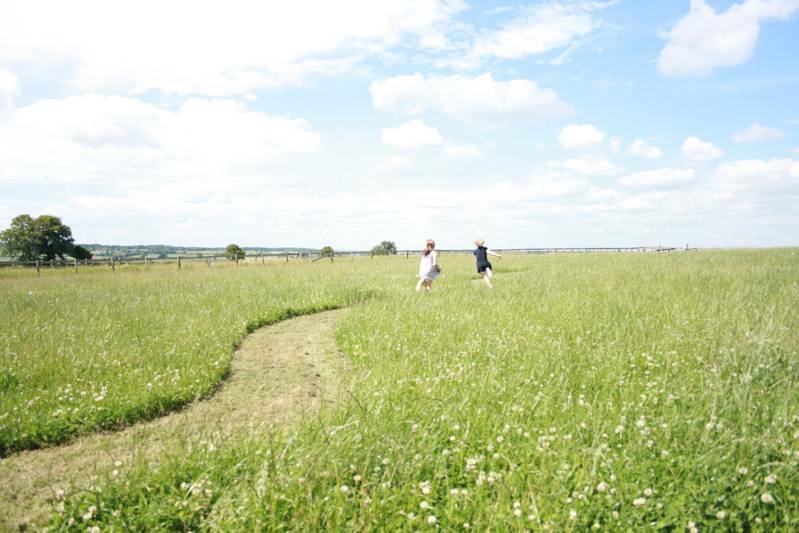 A family friendly site where pitches are hidden in the grass and wild flower meadows, providing a sense of seclusion and exclusivity. 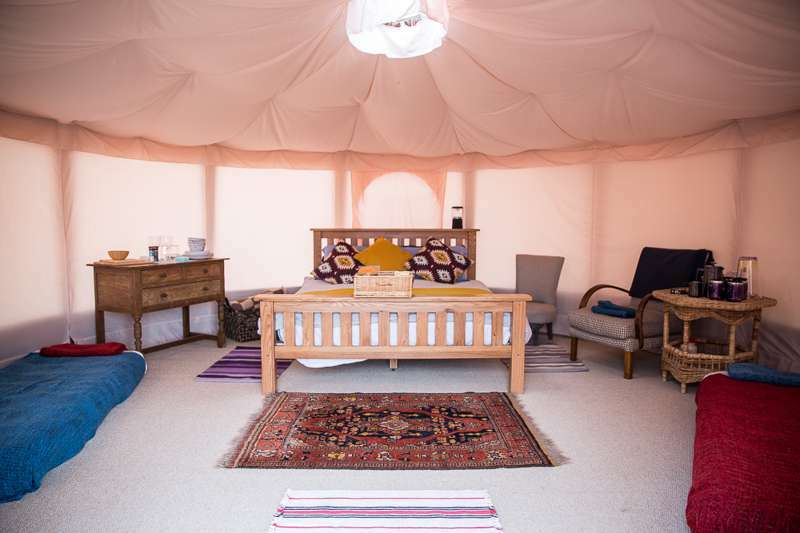 Our traditional campsite provides some creature comforts from home to make your stay more comfortable. Including hot showers, flushing toilets, fridges, freezer and an indoor barn sitting area. 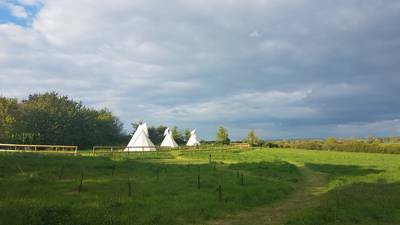 For latest availability and best prices for Twitey’s Tipis and Camping Meadows, please use the Date Search above. We stayed for 4 nights at this great campsite. This is a wonderfull natural place to put up your tent. Michael the owner led some of his own garden furniture for us to use during our stay. Special mention for lovely Trevor,the lonely the rooster, who kept use company during our stay. Love to come back! We had 5 nights in the Shepherd's Hut in August...Michael was a really welcoming host and you feel well looked after; the welcome basket is very generous and the facilities in the Hut are marvellous - you could literally turn up with a few clothes and nothing else and be fine. The bed is VERY comfy and the hut was lovely to retire into at night - on rainy days you can sit on the "porch" and watch the birds. We had mainly fine weather and used the firepit to the max - the grill on it means you can cook pretty much all your meals on it. 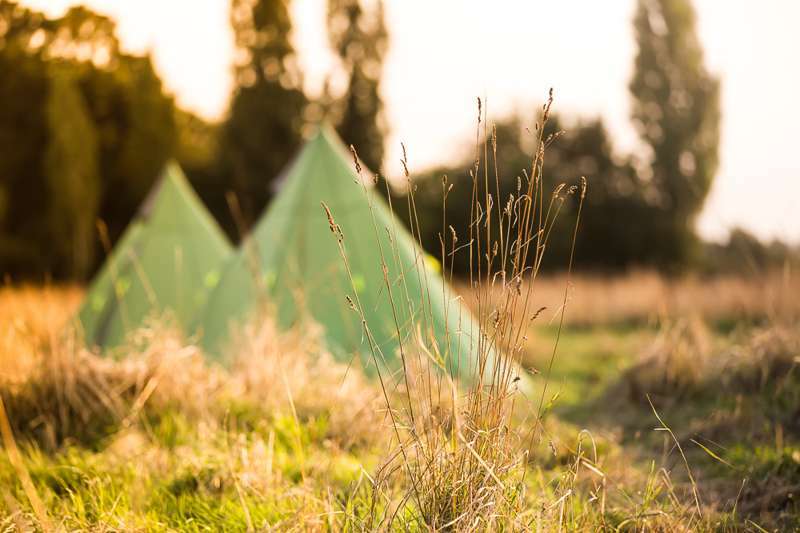 Clean and plentiful toilets and showers (with hot water) plus a great communal area meant you would have an easy camp should you opt for a tent (and the pitches are ACE!). Lots to do nearby and not far from main roads. This really is a Go To campsite. Highly recommended. We stayed (2 families) for 4 nights, at the end of the really hot weather - so the meadows were quite dry, brown and crispy, which did make it feel a little barren - it also meant that we weren't aloud to have campfires for the first night. After this, all settled down, and we had 3 lovely days of rain! There are a couple of portaloos in the lower field (nothing fancy! ), and more formal bathrooms at the main area in the middle. Fresh blackberries around the site very tasty. The kids loved running around the paths with wheelbarrows, but the open space for games is limited (the frisbee got lost in the grass quite a few times!). On the whole would recommend, and location for Warwick Castle and S-u-A is good. Lovely walk to the Fox at Loxley through the fields. Just for way of advice - the red walking route takes you around some fields, where the farmer has put an electric fence so close to the edge, you are forced to walk in the overgrown areas next to the field (including stinging nettles) - with young children this was not an enjoyable experience. Aug 2, 2018 by Alex S.
Nice concept of mown plots in the meadows which meant you have a sense of space around you. Well organised facility, like the wheelbarrows supplied for carting your stuff from the car park. Useful little shop with hot drinks and emergency supplies - appreciated the little touches like being able to borrow a frying pan and an airbed pump which we had forgotten! Friendly owner/staff. Toilets were nicely done and clean. Showers looked clean too tho I can’t vouch for the temperature since I didn’t partake since we only stayed 1 night! Thanks for a great first camping experience for our little family. Upon arrival we received a warm welcome and introduction to the site. There are designated pitches but these are far enough apart to allow plenty of privacy, if required. It was quite pleasant not having the car next to the tent and transporting kit by wheelbarrow kept the children entertained. This is the first site I've stayed at where the (honesty) shop is not profiteering from campers - all items were very reasonably priced. The toilets and showers were always clean with plenty of toilet roll, soap and paper towels. Although we didn't need to use them, the (free to use) fridges and freezers were clearly useful for many. The overall atmosphere was friendly, which meant we all (two adults, two children) really enjoyed our three night stay. Just back from a 2-night stay with nothing but good things to say about Twitey's Tipis. Excellent and large pitches (we booked an over-size pitch which comfortably fit three large tents accommodating six adults and six 0-4 year olds... and a gazebo! ), a very welcoming atmosphere, excellent toilet / shower facilities and superb site shop offering all the essentials via an honesty box system. Kids loved playing around the site (and riding in wheelbarrows), allowing the adults the rare opportunity to sit down and relax! Would highly recommend. What a find! We had a wonderful weekend here as a family and wished it could be longer. We had a warm welcome after a pretty horrible journey and instantly felt relaxed. We had a great pitch near the children's play area where the kids made lots of friends straightaway. It was lovely to be able to let them have the freedom to roam without worrying about cars (or dogs!) on the camping field. Other campers all seemed considerate and there was no problem with noise at night. Facilities are basic but clean and everything works. We visited Warwick Castle for the day on the Saturday which was only a 15 min drive away and a great (though expensive) family day out. I can't honestly think of anything negative to say about Twitey's. I wish there were more campsites like this (and that they were nearer to where we live), but as we commented to each other on the way home, it's just good to know that places like this exist! EXACTLY what I needed, and probably what you need too! Michael, Alicia and team made me feel very welcome from the start. I was shown the site and as I was the only one there, they encouraged me to pick the spot I liked the most. I had originally booked to stay in the orchard but after seeing the views from further down the meadow I decided to go for one of those. The sunsets truly are majestic. Bird song will be the soundtrack to your stay, along with the occasional gentle buzz of a small plane or helicopter from the nearby airfield. Lots of wildlife, including a tribe of cats, pheasants, jays and the star of the show, Trevor. Trevor the chicken is a real gent and will make you feel almost as welcome as the hosts! He followed me around pretty much wherever I went and it helped me miss my greyhound Moe a bit less. The location is pretty much perfect. Far enough away from houses and structures to get the full benefit of nature’s innate tranquility, but close enough to a sainsburys (15 minutes cycle) to ensure that if you’ve forgotten anything important you won’t need to go without. The honesty shop was a very helpful and heart-warming addition to the campsite. 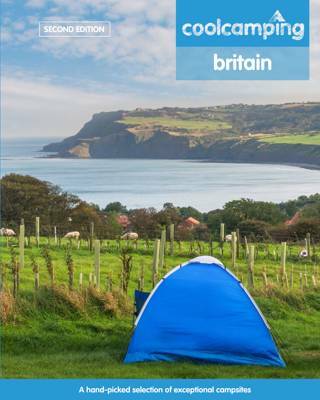 It has most camping essentials, a good selection of food and a plentiful supply of logs and firestarting kits. Having a fire pit to myself (one per pitch) was a delight. I found out that because the pits are sunken into the ground, it’s best to sit around the fire at chair height as you get the full benefit of the rising warmth. The cafe at the airfield is definitely worth a visit. I had a large breakfast there and whatever they did to the toast (or eggy bread? I’m not sure) made it dangerously addictive. Clearly a biker haunt so lots of nice bikes and the odd classical car to drool over. Whether I return solo or with a group of friends, you can be certain that I’ll be visiting again. See you next time! We had a terrific time - Michael and team were very friendly and the campsite's facilities were excellent and well maintained. We really appreciated the honesty shop and that the pitches were spread out well. Enjoyed a fry-up breakfast at the nearby airfield cafe, but mostly just enjoyed the nice sunsets and hanging around the campsite. We really enjoyed camping over there. The place is lovely, clean facilities and staff is very friendly. We will be definitely coming back to this place! We all feel so relaxed, and happy after our weekend here. The site design is brilliant, you can tell the owner is also a landscape architect. The car park is hidden, and man-made light is minimised at night. And i reckon any campsite that involves wheelbarrows is bound to be brilliant. The children loved it! Or son spent hours charging round the mown paths and pitches with the other children from the site. They all played so nicely, and it felt good and safe to give them that bit of freedom. Beautiful site, apart from the wasps! Some friends and I stayed here for two nights mid-August, with our children (aged between 10 months - 6 years). 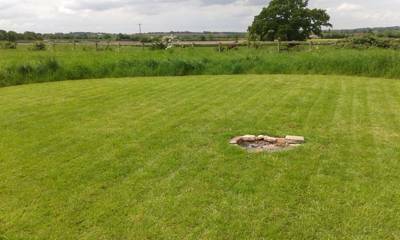 The site is really beautiful and we loved the circular mown pitches with fire pits. There is lots of space between pitches - it was full on the second night but in some of my photos it looks like we are the only ones there! The owners were welcoming and helpful and the facilities were clean and pleasant to use. The little shop stocks essentials including marshmallows, and there are sofas and tables in the spacious wash up area. Taking our stuff up to the pitch in wheelbarrows was hard work, but worth it for the car-free meadow, completely safe for the kids, and no engines or slamming doors to disturb the peaceful atmosphere. The children absolutely loved roaming the field with all the new friends they made, exploring through the long grass, meeting the chickens and ducks, and toasting marshmallows on our campfire. The site was very quiet from 10pm and we enjoyed peaceful evenings and nights. During the day we visited the airfield just down the road - walkable even by toddlers - where you can get a good cooked breakfast/lunch and a hot drink. There are loads of attractions nearby if you were staying for longer. It would have been an absolutely perfect experience, if it hadn't been for the wasps. There must have been nests close by as we were constantly being pestered by them - it wasn't just the odd one or two, they were there as soon as we started pitching, even with no food out. This really put a downer on our stay, as we all felt on edge and it was almost impossible to prepare or eat food. A real shame, obviously not the fault of the site owners and everything else was amazing. I've had to put 4* because of that, but if there were no wasps it would have been 5*. I'd love to come back, just not in August! As we were leaving, my son asked if we could go again next year but for more days... 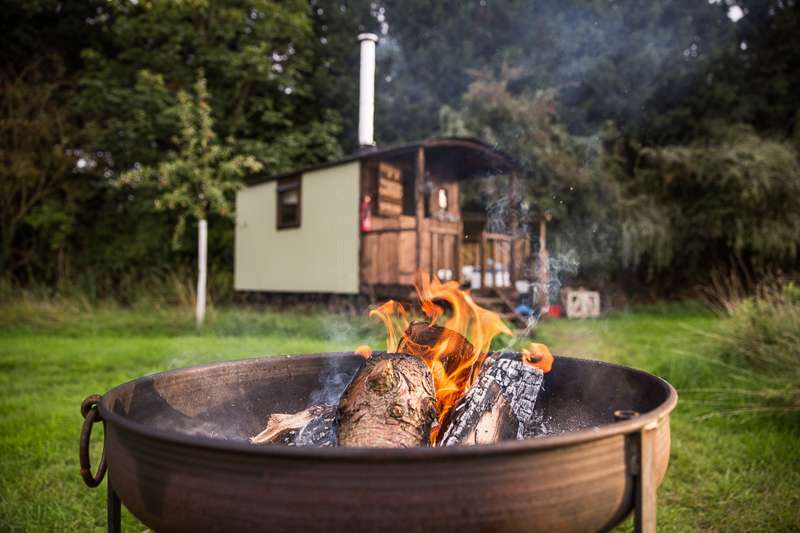 Cooking on an open fire, toasted marshmallows, running through the long grass, following chickens, bike riding on the nearby Stratford Greenway, falconry at Warwick Castle, walking by the river Avon - need I say more? The facilities were good - clean toilets and showers. The site feels like a real labour of love for the owners; they have thought through lots of little details - long grass around each pitch, well-stocked basket in the tipi - including loss of firewood and everything needed to cook, solar candles to light the way at night, shop stock with marshmallows, firewood and fresh farm eggs.... A special thanks also for posting back my son's soft toy - see you next year! We stayed here for 9 days with our family. We loved the relaxed atmosphere. The meadows are great (as are the campfire pits). The campsite has brandnew toilets, a small shop and a large space with showers , washing facilities, room to play, chairs, and refrigarators. Stratford upon Avon is nearby, with of cause a lot of Shakespeare but also boat rowing and a lovely butterfly farm. Stayed here for 3 nights in a tipi. It was our first time in a tipi and kids thought it was great. 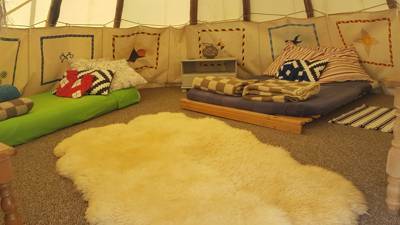 They are very well equipped & comfortable, although we had 4 of us in 4 person tipi- if we went again I would book a 6 person for more space. The solar fairy lights inside were a nice touch. The site itself is lovely, very peaceful & the long grass is a great idea. The pitches are all really well spread out providing a good sense of privacy, but with communal areas for kids to play. Stuart, who showed us around on arrival was very helpful, and whilst the facilities are basic they have thought of everything and lots of little extra touches, such as an electric kettle in the barn with tea & coffee, fresh eggs for sale & disposable bbq's. The portaloo showers & toilets were kept very clean & tidy and were never busy- there is no lighting in the barn though, and even with torches my children found it a bit scary cleaning their teeth in the dark, so just had to remember to do that before it got too late! The fire pits were great & plenty of wood and kindling supplied with the tipi, more than enough to keep us going! The site is well located for Stratford & warwick, also kenilworth castle which is well worth a visit. We would definitely go back, either in a tipi or our own tent. We enjoyed a lovely weekend in the long grass of the Meadow. The site is well laid out and the facilities are excellent and spotless (don’t be put off by portaloos and showers). Special thanks to Stuart who was very welcoming and helpful. We will definitely be returning. Such a great weekend break at Twitey's Tipis. We took the oversized pitch on the top field and were able to pitch a big 6 berth family tent with lounge area and our mountain two berth tent. There was ample space for 4 seats outside in the pitch and also rug to sit on. The top field is great for families as their is a large mowed circular area in the middle of the field where kids can play (rounders, football etc), whilst still in view of the pitches. Showeres, sinks, toilets - basic. But this is fine with us. Nice touches like a communal kettle, sofa, fridge and freezer, ice packs in the main unit. No cars on the fields ... big bonus with kids. We were more than comfortable for our kids to play freely. Stewart, your on-site concierge, is a great chap, always ready and happy to help or assist whenever needed. Martin too was also very approachable and friendly. As suggested by Stewart, the airfield cafe was a great experience. We went on Sunday morning and it was filled with bikers, locals, non locals and pilots. What a great atmosphere. Great pictures and plane models in the cafe and large viewing area outside with table and seating to watch planes and helicopters landing and taking off while eating your grub. The kids loved it. We will be returning with no hesitation. On arrival we were greeted by Stuart and shown around the campsite, facilities and a variety of pitches to choose from. Each one of the pitches were spacious and offered privacy from other campers, with fantastic views of the countryside. The facilities provided were exactly what we needed for a long weekend stay (shared fridge, freezer, hot showers, plenty of information and guides on the local area) all of which were clean, tidy and well maintained including the washing up area, toilets, shower block. Fire pit provided and kindle and log wood was available on site, of very good quality and not at too much cost. staff we have experienced at other camping venues). The car parking is secure, only being a short distance away from the pitches and it was nice to have no cars in view when pitched up. We have only been camping for around a year but would definitely recommend and return to Twitey's Tipis. We have just returned from a thoroughly enjoyable weekend at Twiteys Tipis and campsite. We camped in our tent at the back of the field with lovely views out over the surrounding countryside. The pitches were spread out so that you had plenty of privacy and the beauty of this place is that it isn't over crowded in the slightest. Pitches and paths are mowed and the surrounding grass left to grow. We had a fire pit on our pitch as do all pitches and wood is sold at a reasonable price on site. Don't be put off by the porta loos and showers. Stewart keeps them immaculately clean and the water is hot! It's a basic site but that's the beauty of it! The barn area is being renovated currently to include sinks and running hot water. There is a washing up area too! There is a fridge freezer for use by campers which was brilliant for popping your milk an the odd beer in, and of course the option to refreeze your freezer blocks. There was even a kettle so that you could make a brew in the morning if required! We received the friendliest welcome we've ever experienced from a campsite and we were given a full tour of all the amenities and pitches and then Stewart left us to choose which pitch we wanted. I can not praise Stewart enough he really made us feel welcome and the owner was very friendly also. The addition of the sale of free range eggs on site from the local farm was welcomed by us too!! There were lots of things to do in the local area too, with a nearby airfield and national trust property on the doorstep and it is so close to Stratford and Warwick you could never run out of things to do. We will definitely return to Twiteys soon we loved it SO much! 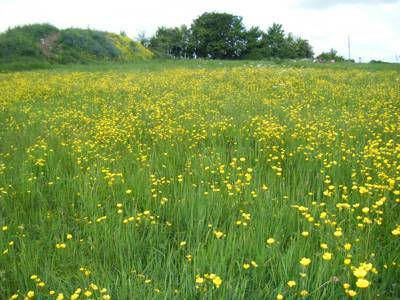 45 mown spaces within a meadow of long grass and wild flowers. 3 Tipis and 1 shepherds hut. 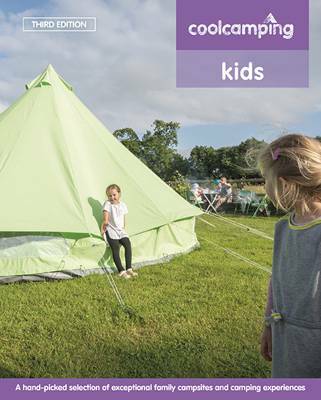 Tents, glampers, kids and well behaved groups – yes. 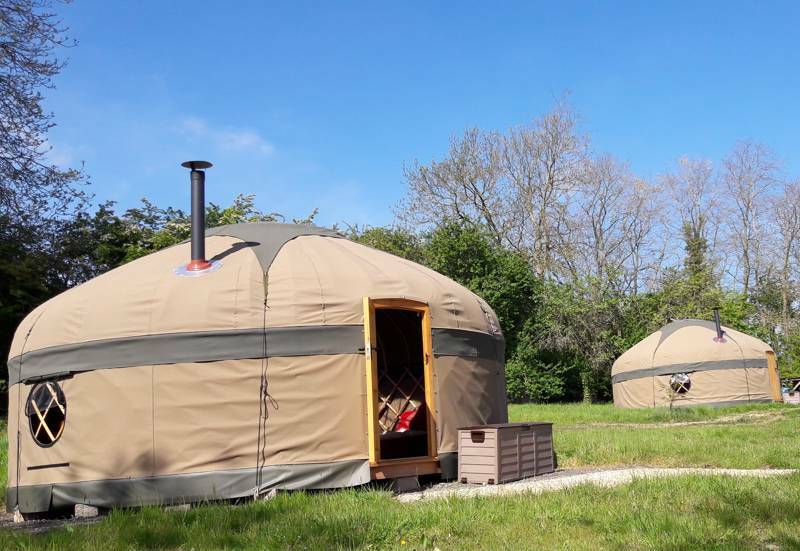 Discrete grass pitches, 3 Tipis (2 x 4 bed & 1 x 6 bed) 1 Shepherd's hut ( Adults only) and 1 Yurt ( sleeps 4 max) ; all pitches have their own fire pit, and 'tents for hire' also available. Showers, toilet block, washing-up area, small reception and shop, charging facilities, recycling and gas cylinders available. Head for the Heritage Motor Museum (01926 641188) in Gaydon. If Stratford-Upon-Avon's Shakespeare is too high brow for the kids then a little jousting, muck slinging and catapult throwing will liven things up at Warwick Castle. Just make sure no swords or pikes make it back to the campsite. The Fox (01789 840991) at Loxley serves award winning food 7 days a week, with a menu to suit all appetites and tastes. The Stags Head(01789 840266) is a very 'local' pub found in the heart of Wellesbourne. It’s been a family run business for over 15 years serving a great range of beers and traditional ales. The Kings Head (01789 840206) country pub & restaurant, located in Wellesbourne oozes rural charm and rustic character. The picturesque surroundings provide the perfect backdrop for savoring the hearty, seasonal pub-food and the carefully nurtured cask ales. Recently refurbished, Other pubs close by are The Ferry(01789 269883) and Baraset Barn (01789 295510) both in Alveston; there’s also a plethora of culinary delights to be had in nearby Stratford upon Avon. Leaving the M40 at Junction 15, head south on the A429 signposted Stow-on-the-Wold. You will pass the village of Barford and as you approach Wellesbourne, turn right, signposted Charlecote. Drive through the village until you reach a crossroads. Wellesbourne is to your left and Stratford Upon Avon to your right. Drive straight across onto Loxley Lane and after a few hundred metres turn right into Hunscote Lane. After approximately 100 metres turn right into a shared driveway signposted Lowe Farm (and also Hunscote House Farm and Stud). Proceed along the driveway for 50 metres then turn sharp right into Lowe Farm. Follow the drive up until you reach the car park where you will find the reception and shop. Please call half an hour before arriving. Nearby train stations include: Warwick, Warwick Parkway and Stratford upon Avon, Stratford upon Avon parkway, There’s also a bus service to within ¾ mile of the site.